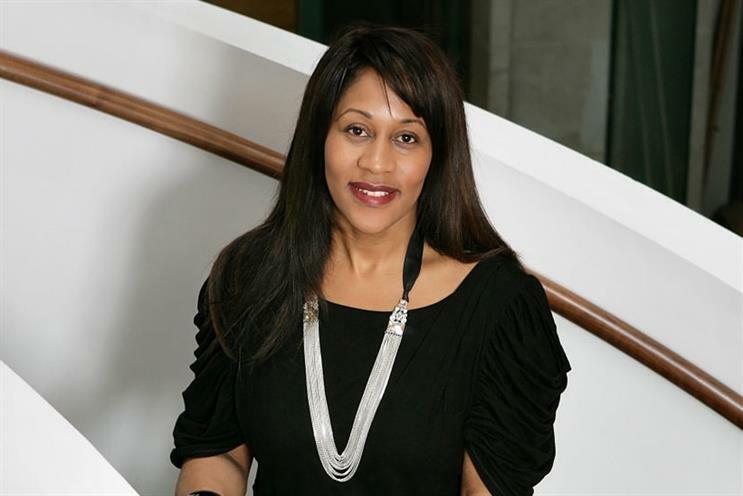 Brands will benefit from better planning, buying and analytics this year, and multiplatform creative partnerships will prove the best way to reach consumers, Karen Blackett says. Let’s gaze into the future for a moment. We can see wearable tech taking over the world – Google Glass, watches, even the smart wig is in development; 3D printing will transform manufacturing; and maybe Oculus Rift will provide a true revolution in virtual-reality computer games. That was fun. Now let’s get real. All those things are interesting, and will undoubtedly have an impact on our business (the 3D printer in our Tech Hub already attracts a lot of attention from visitors). Therefore, we should be seeking opportunities for first-mover advantage in these areas for clients where relevant. But, this year, the main focus for media agencies will be the real things their clients need right now to drive growth as they seek to stay ahead of the competition in the real world. Although it sometimes seems like we are in the middle of a revolution in the media world, it is more of a rapid, ongoing evolution, and it is the job of media agencies not just to respond to this, but to drive it forward for the benefit of our clients. So 2014 will see media agencies concentrating on areas where the best agencies have already started to make progress. 1. Understanding the connected planning landscape. 3. Building a best-in-class programmatic buying offering. 4. Using next-generation analytics to turn data into business-building knowledge. 5. Developing super-connected partnerships with media owners. You don’t have to be a media practitioner to realise that consumer journeys are more convoluted and more informed these days, and that they involve much more than just paid media channels; social and content are an important part of these journeys. Nor do you have to be a geek to realise just how much technology is changing each stage of this journey, reinventing every media channel as a "dialogue initiator", capable of both starting consumer conversations and adding data that can inform channel optimisation at a granular level. The old model for consumers (get shown an ad; buy stuff) has been replaced with an infinitely more complex one (live your life; interact with a brand at various moments in all directions; buy stuff). Therefore, we need to understand comms planning as a connected process where every plan… is rooted in an understanding of the entire customer journey; allows for personalisation and hypertargeting; includes a content strategy at scale, not just an advertising strategy; harnesses all data; and optimises in real time. It takes more time, more meetings, more integration and better connections at every stage of the process. Traditional methods for delivering optimised direct response plans are increasingly obsolete. You only have to look at how phone response rates have dropped by up to 70 per cent over the past four years for many clients to realise that the traditional model is broken. These days, we also need to think about optimising web response, pay-per-click and, in particular, SEO – which often generates the largest amount of traffic. Brands need a new way, and our answer is a model that unravels the complexities in a simple and clear way. We call it "connected response". This solution recognises that we need to optimise all response paths, not just phone response. With connected response, we are not optimising silos any more; we are optimising "systems". We are finding optimum ways to get people into the response journey and to nurture them along their own pathway to conversion. This approach will allow media agencies to optimise the direct impact on sales and the indirect impact on SEO traffic/demand pool generation, and deliver on brand metrics at the same time. The holy trinity. This is great for clients as it promises higher levels of accountability and also for media agencies as we can demonstrate how far we have evolved as business-building partners. Programmatic buying (the trading of digital inventory where a buyer and seller connect through an interface that allows the buyer to bid on the seller’s inventory based on data they have on the available impression) is an exciting development for two reasons: theoretically, it speeds up the process of buying, generating efficiencies; and it enables advertisers to leverage first-, second- and third-party data to gain competitive advantage when bidding. We see 2014 as a year when programmatic establishes itself beyond just digital display, social API and video into digital out-of-home and television. This year, the big analytics questions will start to be properly unpicked. We will get closer to understanding the true value of social (how it works, how well it works, whether fan or follower bases have any true value). We will also make progress in using data to place a true value on content, so that we can make more informed choices when developing content for brands. And, more generally, we will be clearer on what new methods, tools and approaches we will need to augment current econometric practices, so that we can stay on top of the more complex journeys our advertising and other messages now take, from and between consumers. Why does this matter? Because we are all in business and need to start making well-informed and quantified content and connections choices. To get maximum value out of a partnership, more than two partners need to be involved. A partnership needs a brand and a media owner, certainly, but it might really fly when combined with a retailer to carry a message through to point of sale, and a celebrity or entertainment property. As with diplomacy, what we are really looking for is a win-win situation. The partners should all be able to get more out of the relationship than just money. Brands have more to offer than just cash – large social media followings, or access to famous ambassadors, for example. Perhaps the media owner will get cool prizes for their viewers/readers/listeners; the retailer could obtain limited-edition goods; or maybe consumers can get privileged access to some celebrities. Set up like this, a partnership can work much harder for a brand, perhaps helping to secure new or extended distribution, or giving a benefit to existing customers. There really are no limits. As well as brands, media owners and retailers, recent MediaCom partnerships have included the Scouts, the Science Museum, The Wildlife Trusts and a blogger who describes himself as "a British idiot in an ill-fitting suit". Just as planning and analytics have to reflect the new super-connected world, so do partnerships. They should take advantage of the ever-growing ways of reaching consumers. All partnerships need a great idea at heart and a set of collaborators with complementary motives but, by applying these guidelines, we can build partnerships that are worth far more than the sum of their parts. Those are the major themes. Of course, there will also be a lot of time, money, attention and – hopefully – creative media thinking, applied to the usual fight to win the Brand World Cup, as agencies strive to ensure that their clients don’t get knocked out in the quarter-finals, or perish in the Group of Death.